At the Venice Biennale you’ll find art both in the gallery space and in the streets. 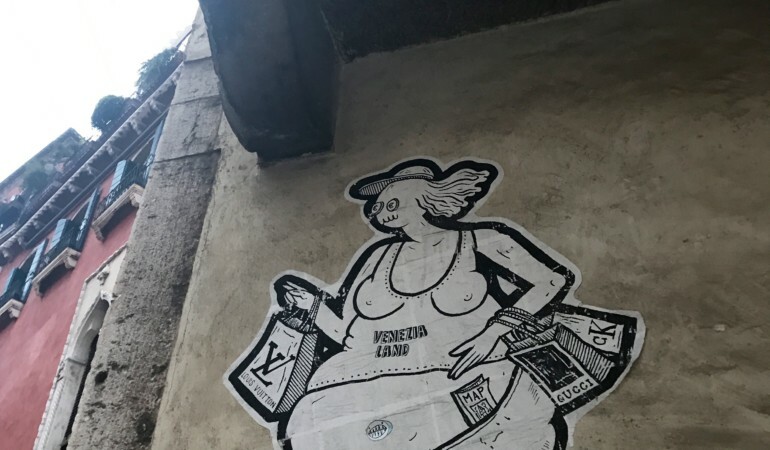 Here are a few of our favourite paste ups and graffiti murals from this year’s Biennale. 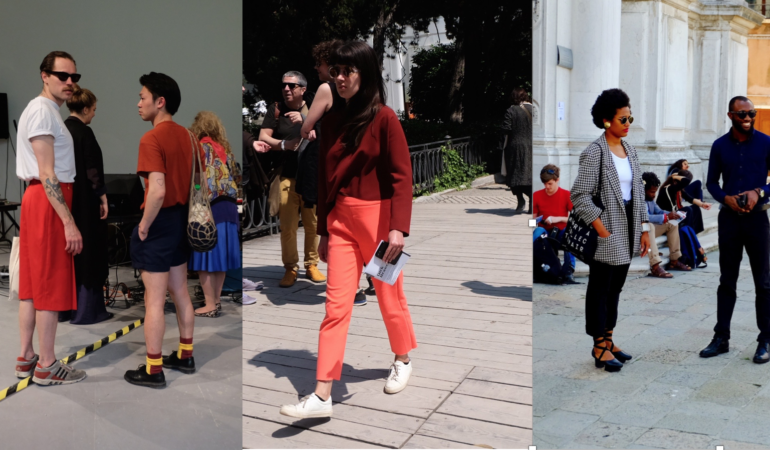 The 57th Venice Biennale: a look at the international art crowd’s street style. At the 57th Venice Biennale, there’s no better way to broadcast your pavilion or cause than with a tote. Lee-Ann Orton snaps some of her favourite ones.